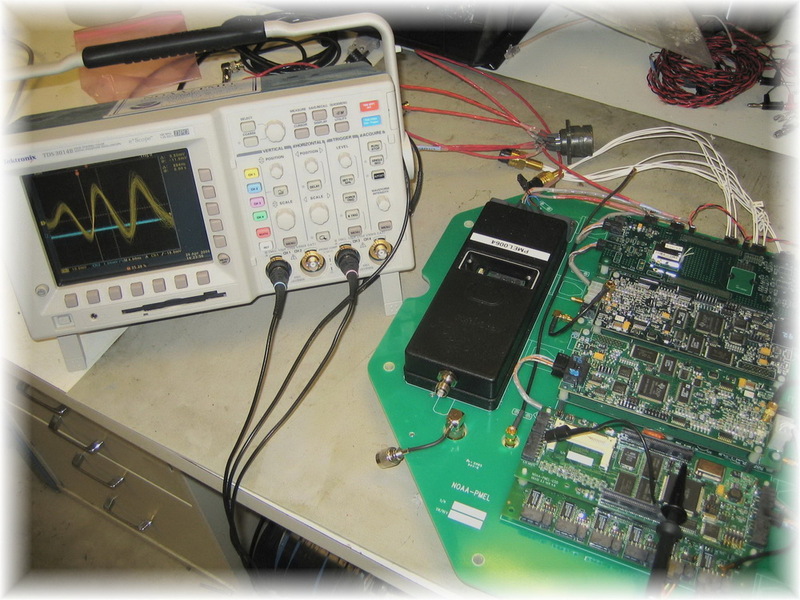 PMEL has the capability to develop electronic systems from the concept stage thru production and deployment. The stages include printed circuit board design, bread boarding, layout, component placement, board diagnosis, software development and testing. The focus is on robust systems that meet the science requirements while consuming minimal power. Additionally, the division has expertise in developing energy efficient communication systems and protocols using the latest in acoustic, satellite and inductive modem technology for providing a wide variety of solutions from seafloor to desktop.